Good morning all! Hope you've had a wonderful weekend. Mine was spent ferrying my youngest to and from birthday parties, making small talk with the other parents whilst the kids ran riot in soft play. Oh to be popular! 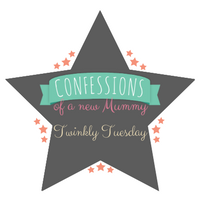 This week's Tuesday Twinkler is a post from Where the Wild Things are, with a post about managing milestones. Lydia has has some big milestones, including a child finishing school and a big birthday and talks about embracing them with excitement. Pop on over for a read. Aw shucks! Thanks for the shout out! Thanks for including this gathering in your already busy schedule!